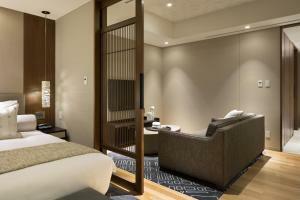 Situated in the center of Tokyo, Ascott Marunouchi Tokyo is 800 metres from Tokyo Station. 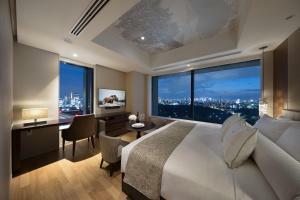 Elegantly furnished rooms located on the upper floors boast city views. Free WiFi is featured throughout the property and an on-site fitness centre is available for guests for free. 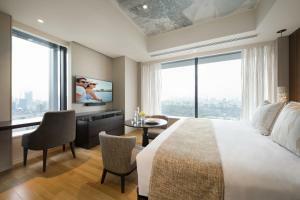 All rooms are non-smoking, equipped with a flat-screen TV, sofa and safety deposit box. The private kitchen includes a microwave, electric kettle and refrigerator. Wine glasses and coffee machine are also provided. The en suite bathroom has a bath, hairdryer and free toiletries. 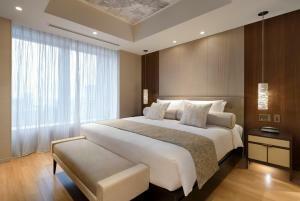 For guests' comfort, the hotel provides slippers and nightwear. TV programmes for children are available. The 24-hour reception offers luggage storage and concierge services. Dry cleaning services and a drinks vending machine are available as well. The hotel features the business centre and fax/photocopying services. Guests can relax at the on-site garden or shared lounge after a busy day. The on-site restaurant serves buffet-style breakfast. Restaurants, cafes and 24-hour convenience stores are within a 10-minute walk from the property. Japan Imperial Palace is a 15-minute walk away from the property, while Tsukiji Fish Market is a 25-minute train ride away. Haneda Airport is approximately a 50-minute drive from the property. 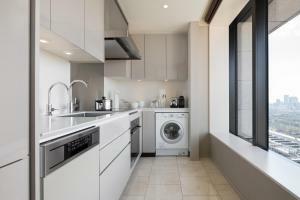 This elegantly furnished studio is 40 square metres and equipped with a flat-screen TV, sofa and safety deposit box. The private kitchen includes a microwave, electric kettle and refrigerator. Wine glasses and a coffee machine are also provided. The en suite bathroom has a bath, hairdryer and free toiletries. Slippers and nightwear are also provided. 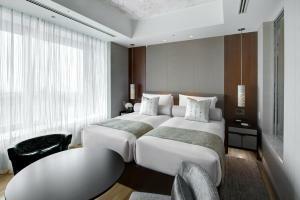 Rate: ¥ 32432.00 ... ¥ 138283.00; select dates below to get current rates. This elegantly furnished apartment is 55 square metres and equipped with a flat-screen TV, sofa and safety deposit box. The private kitchen includes a microwave, electric kettle and refrigerator. Wine glasses and a coffee machine are also provided. The en suite bathroom has a bath, hairdryer and free toiletries. Slippers and nightwear are also provided. Rate: ¥ 38858.20 ... ¥ 170428.00; select dates below to get current rates. 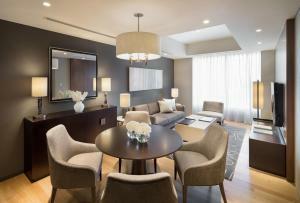 This elegantly furnished apartment is 76 square metres and equipped with a flat-screen TV, sofa and safety deposit box. The private kitchen includes a microwave, electric kettle and refrigerator. Wine glasses and a coffee machine are also provided. The en suite bathroom has a bath, hairdryer and free toiletries. Slippers and nightwear are also provided. 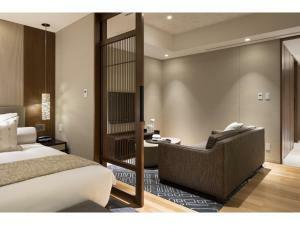 Rate: ¥ 45155.70 ... ¥ 166003.00; select dates below to get current rates. 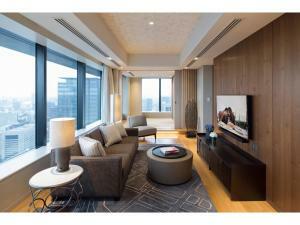 This elegantly furnished apartment is 91 square metres and equipped with a flat-screen TV, sofa and safety deposit box. 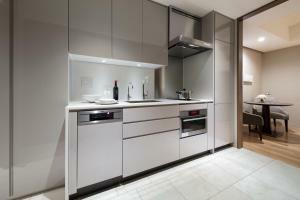 The private kitchen includes a microwave, electric kettle and refrigerator. Wine glasses and a coffee machine are also provided. The en suite bathroom has a bath, hairdryer and free toiletries. Slippers and nightwear are also provided.